Lindon Farms Freeze Dried Strawberries come in individual, puncture resistant, resealable pouches; making them perfect for on-the-go or to store for an emergency. Your family will stay nourished with natural vitamins, nutrients, and not a single additive. 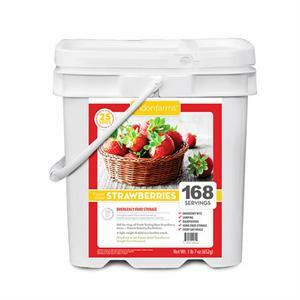 These strawberries can be added to your favorite dishes or enjoyed on their own. Don't miss an opportunity to supply your family with superior taste and sustenance for up to 25 years!